There is a growing demand for evidence that better reflects the patient experience during routine care. Registries can help meet this demand by collecting data on real-world patient care. 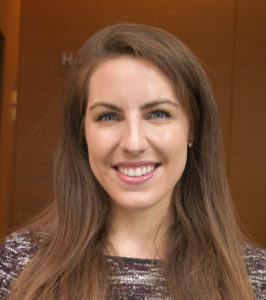 However, registries can be expensive to maintain, can have proprietary data formats, and often focus on a single therapy, even though routine care can involve combinations of devices or therapies in multiple care settings. With this initiative, we will address these challenges by creating a coordinated registry network (CRN) that uses structured data capture and HL7 FHIR to efficiently extract , standardize and exchange data from electronic health records and link registries and other data sources to cover a number of technologies in clinical areas unique to women. 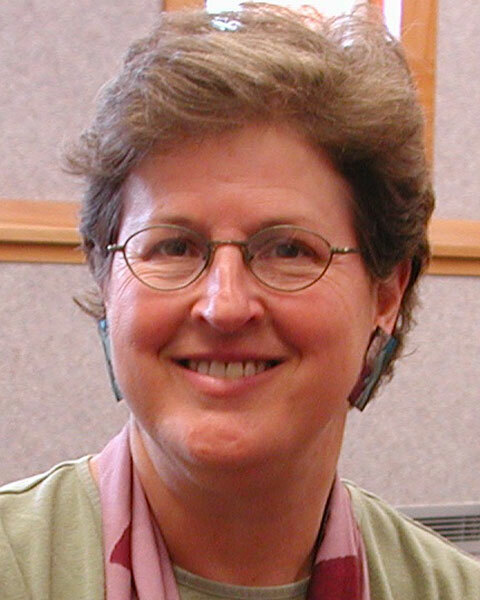 Establish a coordinated network capable of addressing clinical questions on devices, therapies, and their combinations in clinical areas unique to women. We will focus initially on the treatment of uterine fibroids, pelvic floor disorders , female sterilization and long-acting, reversible contraception. 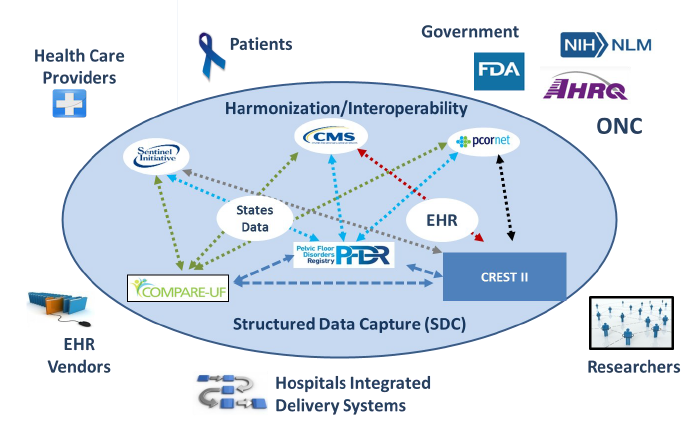 Create a harmonized, interoperable platform that will link existing registries and data sources to each other and to other major data networks for longitudinal follow-up and assessment of patient care across therapeutic areas. Develop tools to efficiently extract clinical data from electronic health records (EHR) into the CRN using HL7 FHI profiles and Structured Data Capture (SDC), and ballot developed standards for further use by the clinical community. Test the ability of the CRN to address 2-3 priority questions identified by stakeholders. Core Team consisting of representatives from FDA/CDRH, National Library of Medicine, Office of National Coordinator, The American College of Obstetricians and Gynecologists, The American Urogynecologic Society, and Cornell University. Clinical area teams focused on identification of relevant clinical data elements. 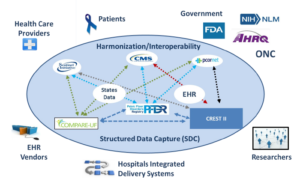 Core Clinical Data Element and Informatics Workgroups focused on harmonization of CRN data elements, development of harmonized and standardized data ontology, FHIR development, and data interoperability. Data element evaluation and identification of priority research questions to be addressed by CRN. Two-tier infrastructure model for some or all clinical areas: 1) Quality Improvement Tier to address safety and quality improvement questions across the CRN 2) Research Tier to address detailed research questions within CRN partners. Evaluation of EHR vendor datasets, identification of candidate fields for harmonization, development of common data elements, development of HL7 FHIR profile for data capture and exchange, and integration of Unique Device Identifica-tion (UDI) and device information from GUDID into CRN. Validate the use case and create implementation guides for the clinical community. Ballot and disseminate developed standards and tools to partners and other stakeholders. Test CRN capabilities by addressing 2-3 priority questions identified by the partners and stakeholders. For more information, please contact the FDA Project Director, Dr. Danica Marinac-Dabic (Danica.Marinac-Dabic@fda.hhs.gov), or Cornell University PI, Dr. Art Sedrakyan (ars2013@med.cornell.edu). CRN Data Partners: link to other major data networks for longitudinal assessment. Use structured data capture and FHIR standards for efficient data ex-traction. Link to other major data networks for longitudinal assessment. Use structured data capture and FHIR standards for efficient data extraction.